Seeking clues on Mitsuki’s whereabouts, Boruto and Sarada decide to go to Ryuchi Cave, home to the White Snake Sage that Orochimaru spoke of. Unfortunately, they have no clue where Ryuchi Cave is located. To make matters worse, Team 10 (lead by Moegi) block their path in order to bring them back by any means necessary. 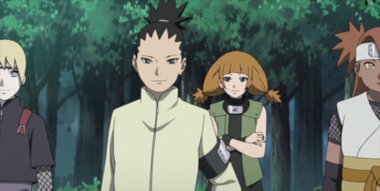 Boruto and Sarada manage to shake them off, but can the two really make it all the way to the White Snake Sage?